You must have heard myths as well as truths in the form of logical advice from folks and friends. How do you know which is true and which is not? Use scientific method steps to find out for yourself which is true and which is a tale. 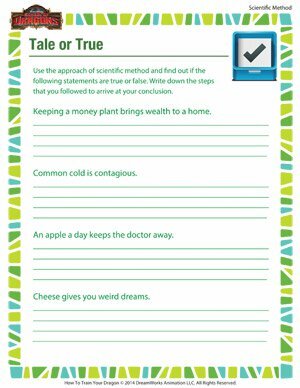 See more printable scientific method worksheets online if this one fascinates you on School of Dragons!